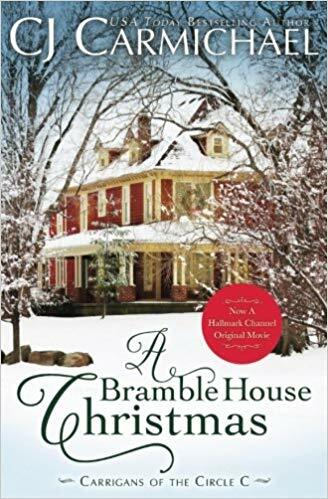 When I read A Bramble House Christmas, I did not know that it was part of a series. Now that I have read it, I want to read more books in this series. Don’t let the fact that this is part of a series stop you from reading this. It is a stand alone book. I knew nothing about this series, and I still enjoyed the book. You don’t have to know about the characters or families to enjoy this. This book reads very much like a Hallmark movie, but better I think. It is a sweet story and I thought it was well written. It is a bit predictable, but I don’t mind that in a Christmas fiction book. I will say that this is a PG or PG-13 book. It is not as clean as a Hallmark movie would be. Hallmark made Bramble House Christmas into a movie last year, so they must’ve cleaned up all the PG parts. 🙂 I was unaware this was a series of books. Must go check them out! I need to watch the movie! I am guessing they cleaned up the PG parts because Hallmark movies are usually very clean. The book was a fun read though and I am adding the rest of the series to my to read list. I hope you enjoy it!